Along with the standard 4 x flush mounted and 1 x adjustable rod holders, the Explore 14 has an array of hatches designed with the fishing enthusiast in mind. 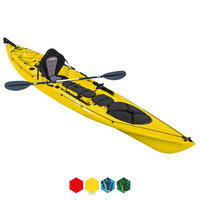 The Explore 14 is a specialised fishing kayak with a smooth flowing hull and rudder system for increased manoeuvrability. The Dashboard provides a multitude of mounting points for your equipment. There are four flush mounted rod holders, as well as the central swivel rod holder, giving plenty of options for anchored fishing or trolling, as well as a transducer compatible scupper and sonar hood. There is plenty of storage with a moulded-in centre storage well, X-large hatch on the bow, rear storage hatch and a specialised storage tank well at the rear, designed to fit a crate. 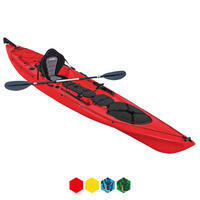 The Explore Pro 14 is the perfect choice for anyone looking for a serious fishing kayak. 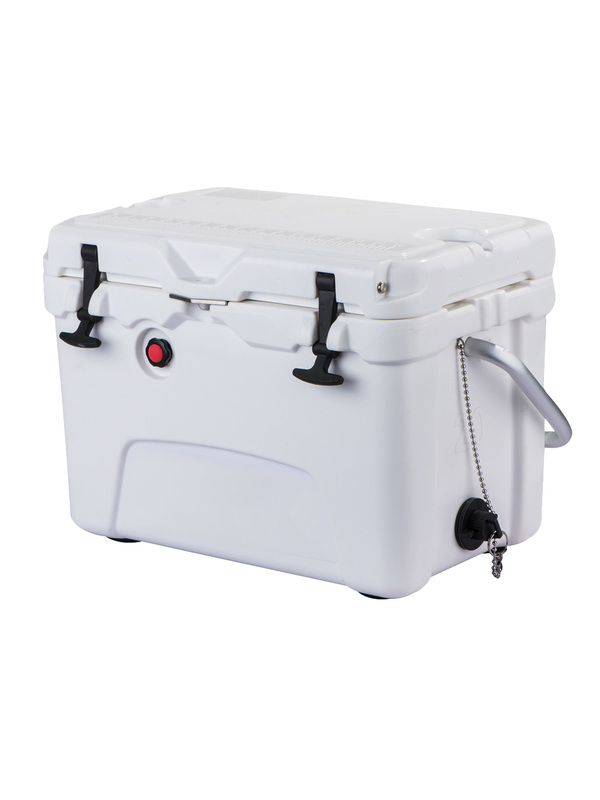 With it’s size, stability and storage making it ideal for venturing further afield. Rear Screw Storage Hatch with Liner - Liner is not Waterproof! I purchased the explore pro 14 in November 2016, and I have used this a number of times through the winter months. Firstly the service and speed of delivery from the outdoor Hub was second to none, for the size of the Kayak next day delivery was nothing short of amazing in my honest opinion. 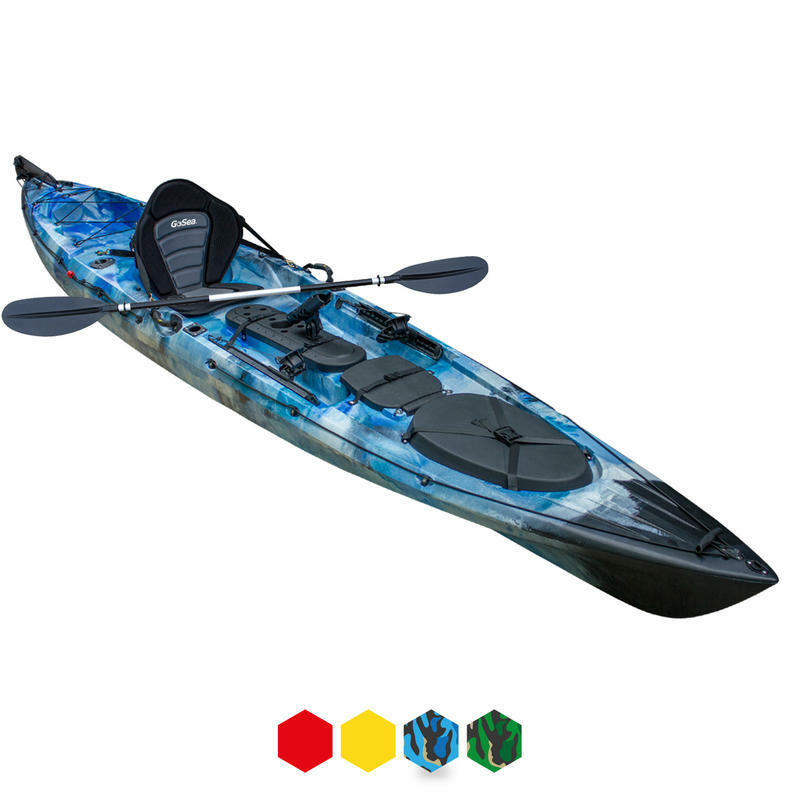 The kayak itself is superb, very high quality and comfortable to ride and fish from, it glides and tracks nicely and on a recent trip in choppy conditions the stability really showed. The space and layout of the cockpit and storage areas has been really well thought out with the angler in mind I am really pleased with the Kayak and I would highly recommend this model to anyone who wants to take up Kayak fishing without paying the big name prices some other suppliers quote. 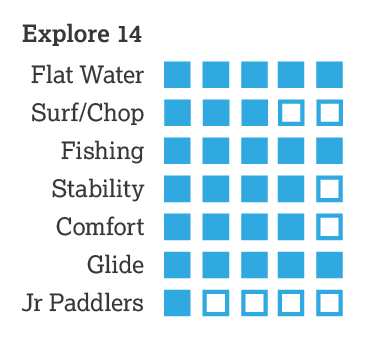 You won't be disappointed with this kayak. Can I add prior to purchase I exchanged a few emails with the staff at concept kayaks and I have to say they were polite, friendly and extremely helpful so 5 stars.